We had 47 people show up at the JJC for the Paint day!!! 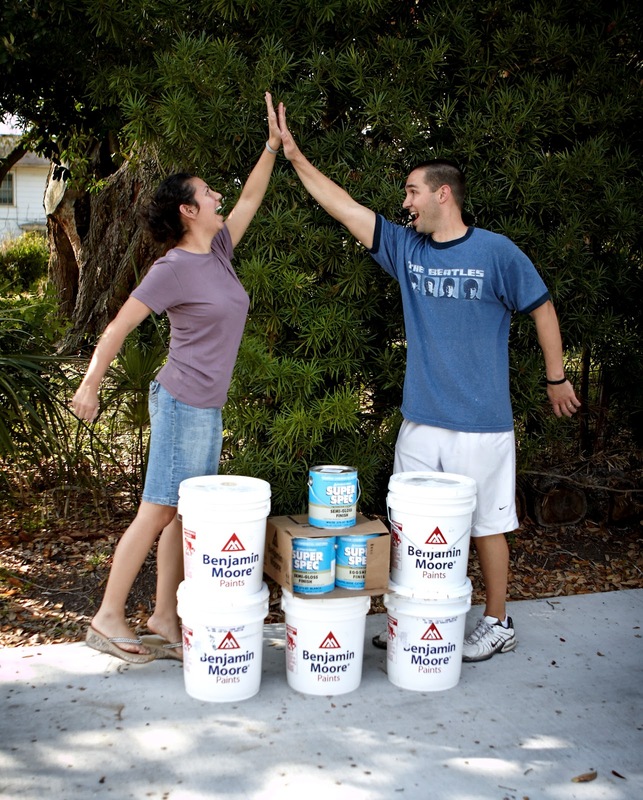 Thanks to A&H paint, they donated all of the paint for us to paint all of hallways, kitchen’s and children’s living rooms. The kids were so grateful for what we had done for them! Our amazing youth pastor Donny Willis brought the youth group to play games with the kids while we painted. Shay and Karl BBQ’d hamburgers and sausage for lunch. Thanks to the private donor for the amazing lunch and all the fixings. Thanks to Leslie Hebert for making each child who had a birthday in March their own individual cake. It truly meant so much to all of the children. To everyone who gave up their Saturday to bless the children of JJC, we honor you and we are so grateful to you. We had an amazing day caring out the Motto for Refuge127: To visit to help and to care for the orphan. James 1:27amp!! You guys are awesome!